PHILADELPHIA -- Singer Sevyn Streeter was set to perform the national anthem at the Philadelphia 76ers season opener, but says she was not allowed due to her clothing. 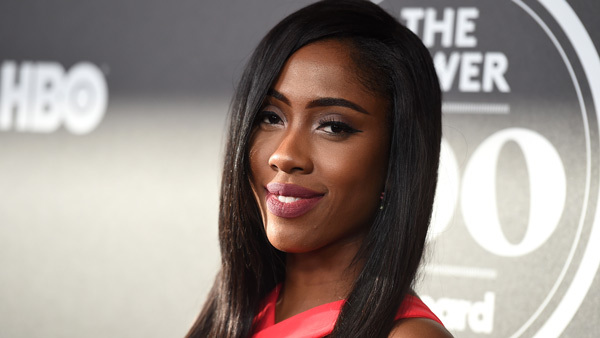 On social media Wednesday night, as the game between the 76ers and Oklahoma City Thunder pressed on, Sevyn posted a 10 second video detailing what happened. "I'm at the 76ers game singing the National Anthem and the organization is telling me I can't because I'm wearing a 'We Matter' jersey," Sevyn said. The Philadelphia 76ers organization encourages meaningful actions to drive social change. We use our games to bring people together, to build trust and to strengthen our communities. As we move from symbolic gestures to action, we will continue to leverage our platform to positively impact our community. Sevyn was the scheduled performer for the opener in Philadelphia. The singer could be seen and heard practicing the anthem during Action News reporter Jeff Skversky's report previewing the game. There was even a contest where fans could sit courtside with her during the third quarter of the game. Fans could enter the contest using #SevynSixers on Twitter. The 26-year-old singer from Orlando, Florida has written songs for Chris Brown, Brandy, Alicia Keys, and more, according to her Facebook page. A member of the 76ers Dance Team sang the anthem prior to the game.